We were proud to collaborate on an immersive experience at the Smithsonian’s National Air and Space Museum, on the Mall in Washington, DC. 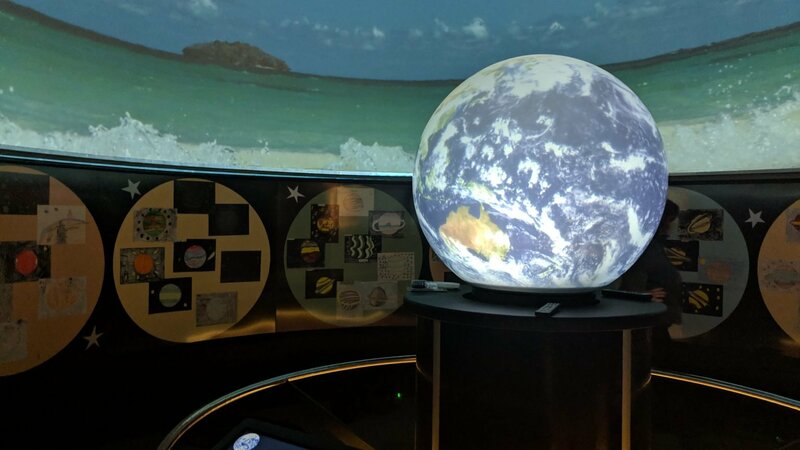 Visitors use an interactive touchscreen to learn about our solar system, showing high-resolution images of the planets on an internally projected globe. These planetary datasets are complemented with panoramic images and animations projected on the curved walls of the gallery. NASA’s Jet Propulsion Laboratory (JPL) provides programming for the panoramic display – from satellite images of the Earth to fly-bys of distant planets. Using WorldViewer with content from NASA’s Photojournal and Eyes on the Solar System, they bring to life to the wonder of exploring our solar system and beyond. 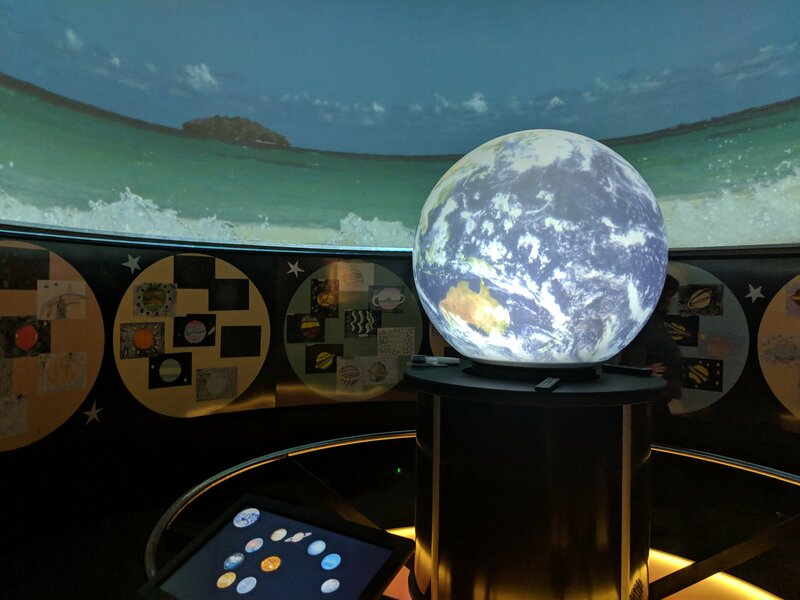 Our development team worked with the museum to create this multi-display interactive, a customized application of WorldViewer.The panoramic display is driven by our OmniFocus 30520 projection system, a laser light engine with 4K resolution at 12,500 lumens. The 4’ globe has been powered by an OmniFocus projection system since 2014. 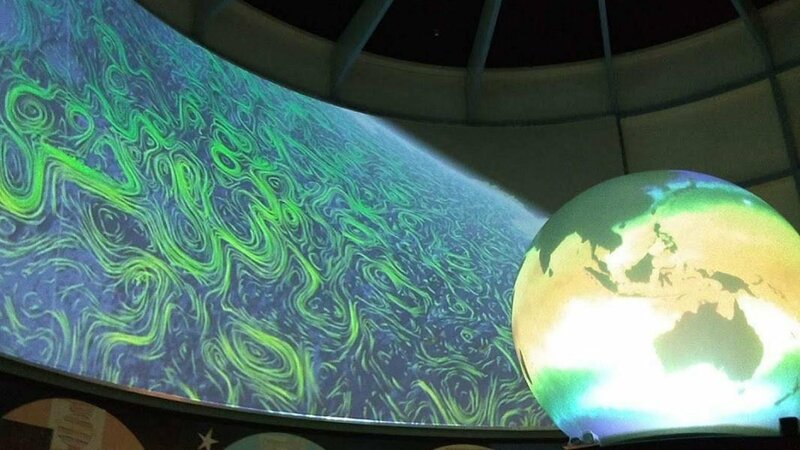 In 2018 we installed new 4K laser projectors in the globe, for 2.9 Mpix resolution at 10,000 lumens. We also provided a new ventilated enclosure for the globe’s projection system. Also at the National Air and Space Museum, visitors can interact with all three of NASA JPL’s Eyes On platforms – Eyes on the Earth, Solar System and Exoplanets – in four Elumenati Cobra Panoramas. Read about that project here.